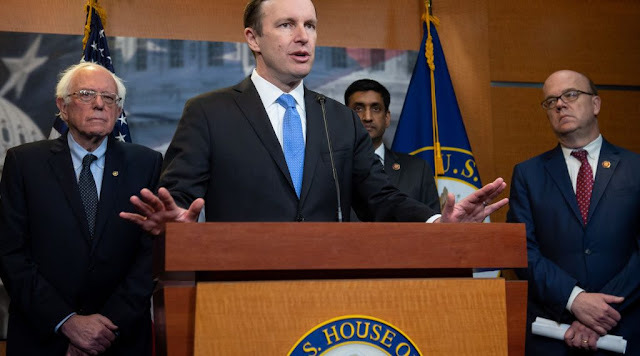 The House yesterday voted to end American involvement in the Yemen war, rebuffing the Trump administration’s support for the military campaign led by Saudi Arabia. The top Republican on the committee, Rep. Michael McCaul of Texas, acknowledged the dire situation in Yemen for civilians, but spoke out in opposition to the bill, saying it was an abuse of the War Powers Resolution. “This radical interpretation has implications far beyond Saudi Arabia,” McCaul said. Democrats overcame a GOP attempt to divide the majority party through a procedural motion involving Israel just minutes before the Yemen vote. Republicans wanted to amend the Yemen bill with language condemning the international boycott movement and efforts to delegitimize Israel. Democrats argued the amendment would kill the Yemen resolution, and most of them voted against the Israel measure. “The Jewish community also has a history of standing up against atrocities like the humanitarian crisis in Yemen. My colleagues are trying to block us from standing in support of human rights,” he said. Opposition to the Saudi-led war in Yemen gathered support last year in the aftermath of the killing of U.S.-based journalist Jamal Khashoggi.